With its beautiful blend of Georgian inspired style and generous storage, our New England design will make the most of your space. The simple subtlety of the Alabaster White finish brings a calm serenity to your bedroom from morning to night. 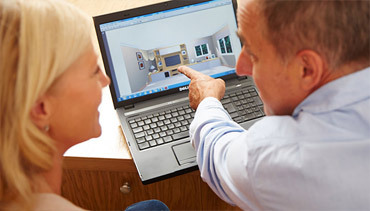 Your New England bedroom will be so easy to live with. 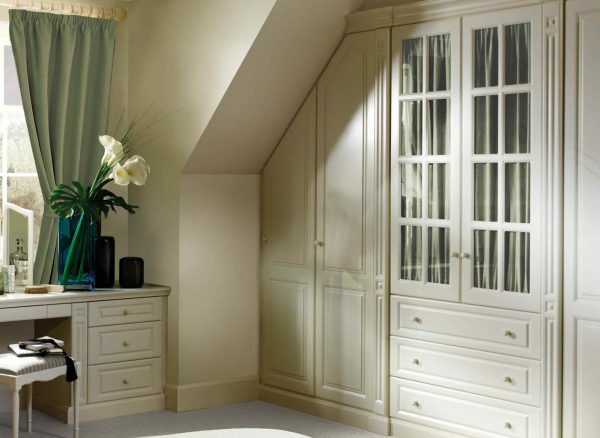 Behind the traditional moulded doors of your fitted wardrobe, you will find clever storage features to effortlessly accommodate your entire clothing collection. 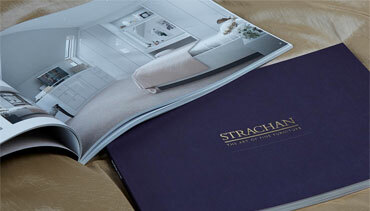 Our bespoke furniture designs are the ideal solution for awkwardly shaped rooms. 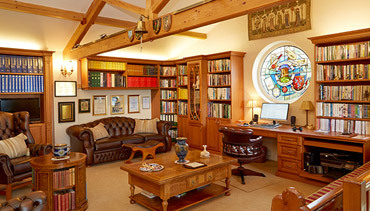 These New England wardrobes have been uniquely shaped and crafted to accommodate the sloping ceiling. The angled design means that the bedroom's aesthetic flows without interruption, while also providing as much storage space as possible. Our carefully hand-crafted traditional detailing adds charm and character to your New England bedroom furniture. 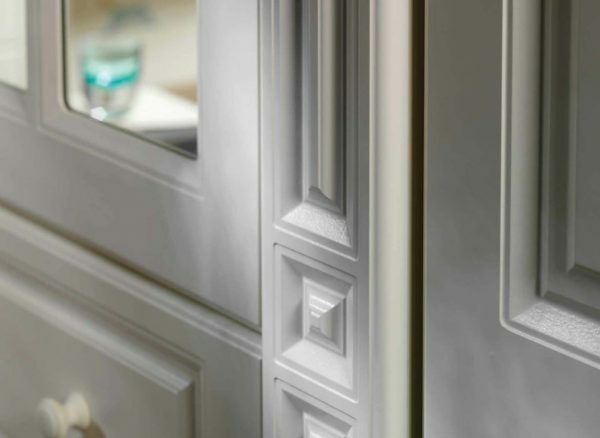 Intricate cornicing runs along the top of your wardrobes, while moulded pilasters add a distinctive touch, finished in the soft tones of Alabaster White to effortlessly tie your whole room together. 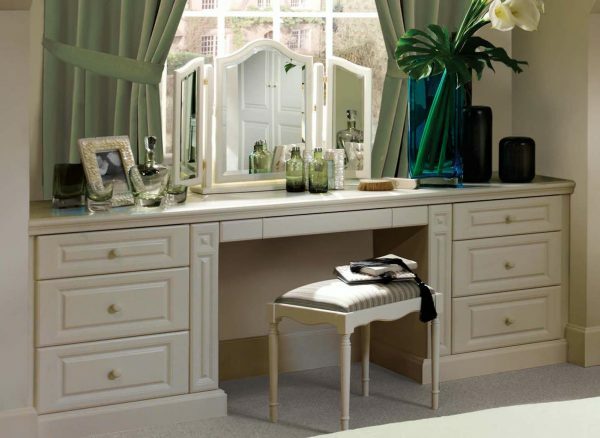 Along with plenty of leg space and a convenient mirror, your Strachan dressing table can be configured to include storage space. Drawers with soft close runners can be added on either side of the seating area, while discreet jewellery drawers and pull out pilasters provide a hidden space to store your valuables out of sight.